This property is 2 minutes walk from the beach. With magnificent panoramic views across the bay, the chic Cottonwood Boutique Hotel has a superb cliff-top location. It offers a sun terrace, and an on-site restaurant serving locally sourced fresh ingredients. Free Wi-Fi is provided in some rooms and public areas. Many rooms overlook the bay, and all have a private en-suite bathroom. The stylish Bar Vista, with its sunny terrace and garden, offers nice scenery to enjoy lunch or drinks. The Garden Restaurant offers refined and elegant dining using local, fresh ingredients from one of Dorset’s leading chefs. The smart, 3-star, Elstead Hotel Bournemouth sits in an idyllic spot, a short stroll from the beach and the town’s vibrant shops and bars. 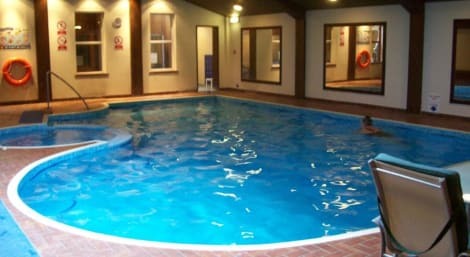 The hotel offers private parking, a large heated swimming pool, a spa bath, steam room, sauna, fitness room, bar, a traditional restaurant offering home-cooked food, and free wifi. The Elstead’s rooms all come with a plasma TV, hot drinks station, work desk, hairdryer, and en-suite bathroom with a bathtub. 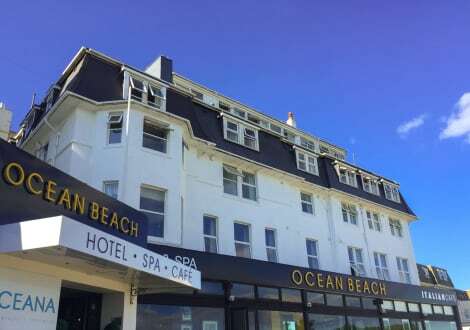 This lovely 3 star hotel boasts panoramic views of the beautiful coastline and beaches and is just a short stroll from Bournemouth's vibrant centre. This is a cosy, Welcoming and intimate hotel, ideal for a family break. 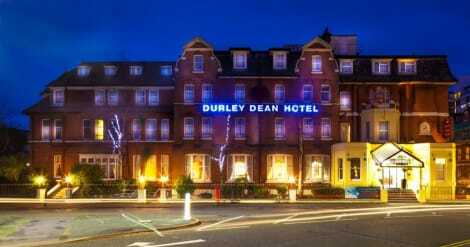 The Victorian, 3-star Durley Dean Hotel sits in the heart of Bournemouth, a short walk from Bournemouth Pier, Lower Gardens, and the Pavilion Theatre. 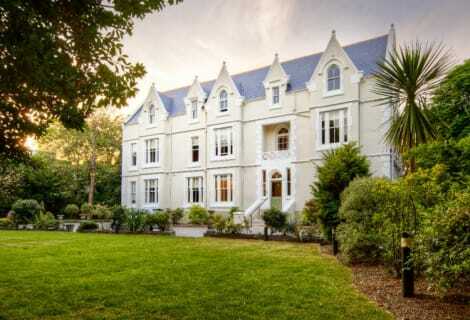 This townhouse hotel features No.28 restaurant serving locally-sourced cuisine, a lounge bar, spa, indoor swimming pool, and a gym; and there’s free wifi to keep you connected. The smart rooms provide flat-screen TVs, free wifi, hot drinks facilities, and en-suite bathrooms with hairdryers. 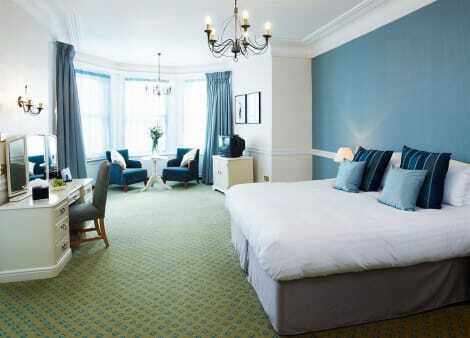 A short walk from Bournemouth’s sandy beaches and the vibrant city centre is the smart, 3-star Queens Hotel and Spa. 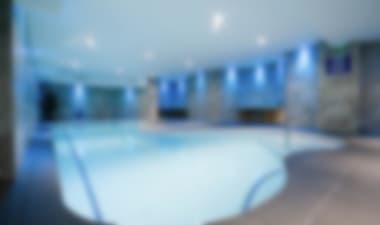 The hotel’s facilities include the Forever Gorgeous Day Spa offering pampering treatments, a steam room, sauna and indoor swimming pool; the award-winning Alexanders Restaurant, and the Garden Lounge Bar. Each traditional room has a TV, hot drinks station, desk, and an en-suite bathroom with free toiletries. 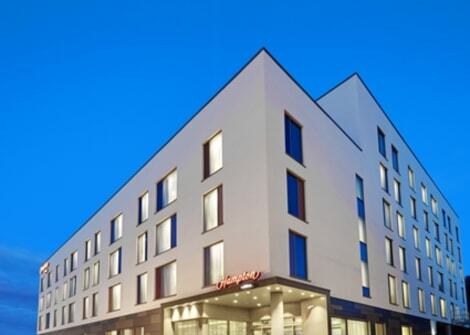 Warm and welcoming, the Hampton by Hilton Bournemouth hotel offers guests an ideal location just a short walk from the beautiful coastline, the city center, and lots of attractions, including the Bournemouth International Conference Center, the Pavilion Theater and the O2 Academy. We are just 10-15 minutes from Bournemouth International Airport, and our location makes it easy to visit the stunning beaches of Poole, Southampton and The Isle of Wight, or the famous New Forest National ParkFeel at home in a comfortable and modern guest room, equipped with free WiFi, an LCD TV, unlimited tea/coffee making facilities, an ergonomic desk, a convenient lap desk and a laptop-sized safe. 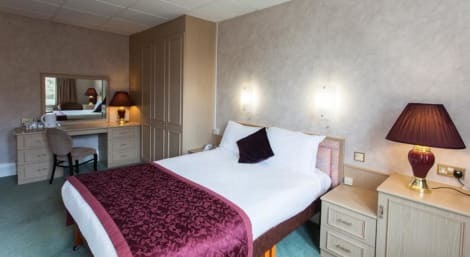 Our comfy queen-sized bed ensures a great night's sleep after a busy day.There is a hot breakfast included when you stay at this friendly Bournemouth hotel. Enjoy a drink or a snack in the relaxed bar, or take a short walk to the city center to discover lots of pubs and restaurants serving a variety of exciting cuisines. Maintain your exercise routine is easy in our well-equipped, 24-hour fitness center. If you need to print a document or catch up on your emails, there is a free 24-hour business center available onsite.Friendly service, clean rooms, comfortable surroundings, every time. If you're not satisfied, we don't expect you to pay. That's our commitment and your guarantee. That's 100% Hampton by Hilton™. 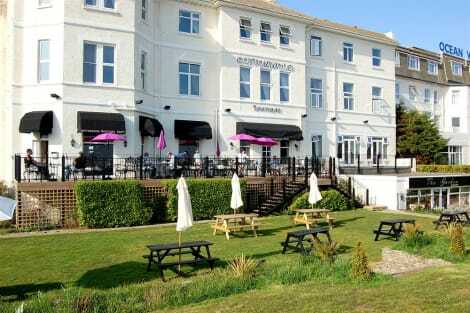 Overlooking Bournemouth Bay, the Ocean Beach Hotel and Spa is just a short walk from the town centre and beaches. The Harbour Bar and Lounge has a terrace with a sea view, and the restaurant offers poolside views and international cuisine, and you can use the leisure facilities at 2 neighbouring hotels, including the Oceana Day Spa, an indoor heated pool, sauna, gym and squash courts. 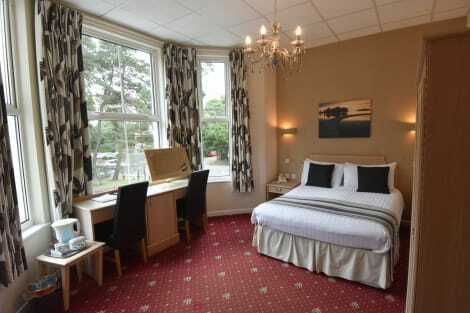 The bedrooms all feature en suite bathrooms, TVs, tea and coffee facilities and hair dryers. On-site parking is available on a first come first serve basis at £8.00 per vehicle per night. Parking permits will be issued at the hotel reception desk during check in. Reservation is not possible and fees are payable directly to the property on arrival. 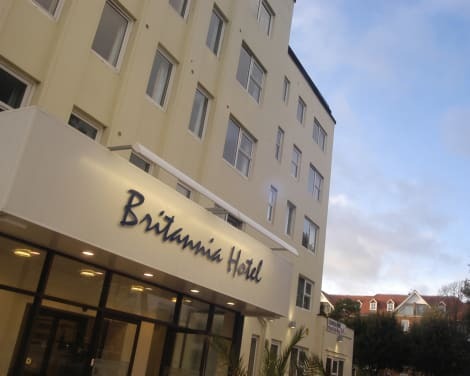 With the picturesque countryside of the New Forest, the striking East Cliff beach and the bustle of Bournemouth town centre all within easy reach, the 3-star Britannia Bournemouth Hotel is perfect for both business and leisure trips. Modern and comfortable, there’s a cosy on-site restaurant and bar, a high-tech business centre and a health club with pool and sauna. Free high-speed wi-fi is available for all guests. 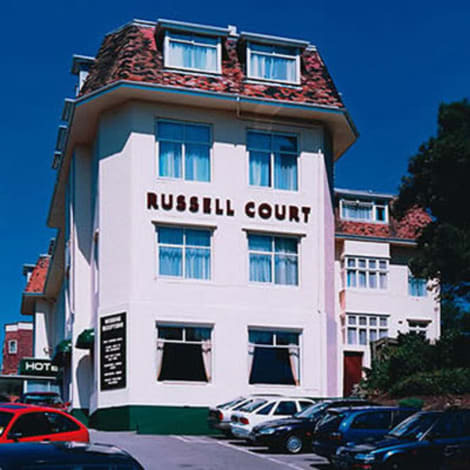 The comfortable 2-star Russell Court Hotel is in the perfect setting for a relaxing trip to Bournemouth. The shops, bars and restaurants of the town centre are close by, while the famous sandy beaches and the town’s cultural hotspots including the theatres, casino and Bournemouth International Centre are within easy reach. Enjoy a drink in the bar, dine in the restaurant or relax in the thoughtfully designed guestrooms, each complete with TV. 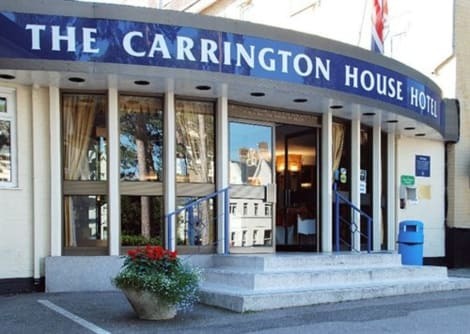 Set on a quiet leafy street, just steps away from the shops, eateries and bars of Bournemouth town centre, Carrington House Hotel has everything for a great break. The famous Bournemouth beaches are just a short walk away, there are kid’s activities at the hotel for families and pets are welcome too. Host a meeting in fully equipped meeting rooms, relax in the bar or restaurant, kick back in the indoor pool or catch up on free high speed wi-fi. 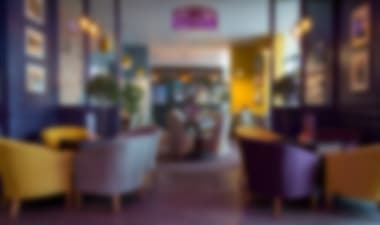 A comfortable hotel moments’ walk from Bournemouth’s main hotspots, the Britannia Roundhouse is in the perfect place for exploring the city sights, whether that’s the award-winning beaches, the theatres or restaurants. Big on comfort, the great facilities include a fully-equipped business centre, a bar and restaurant and free Wi-Fi in public areas. Moments away from East Cliff beach and a short walk from Bournemouth pier, the 3-star Britannia Heathlands is the ideal location for seaside trips. This modern hotel overlooks elegant landscaped gardens, and its cosy guestrooms come equipped with TVs, tea and coffee and en-suite bathrooms. Popular for conferences as well as holidays, the hotel has a large number of meeting rooms and wi-fi. Dine in the Pavilion Restaurant before heading to Bournemouth’s beaches. 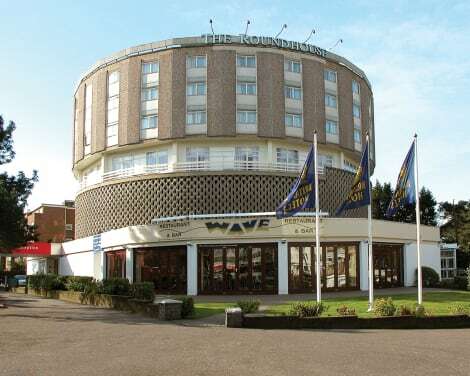 The Mayfair Hotel Bournemouth is centrally situated, within easy walking distance of the Town Centre and with ample car parking. The Mayfair Hotel offers a choice of rooms and is the ideal venue for a variety of occasions. The Mayfair provides great value accommodation in Bournemouth, with 40 en-suite bedrooms, all designed with comfort and relaxation in mind. All rooms are non smoking, with colour TV, tea/coffee making facilties and hair dryers. 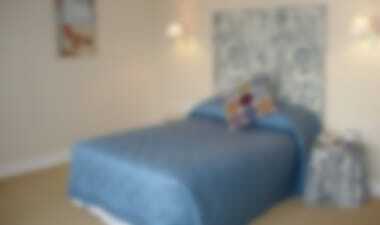 There is a variety of twin bedded, double bedded and family rooms. The grade II listed, 4-star The Royal Bath Hotel by Britannia, was Bournemouth’s first hotel. Overlooking the beach, it’s only a short walk from Bournemouth Pier. You can enjoy fine dining at Oscar’s restaurant, grab a snack at Café Promenade, or relax in the spa with its swimming pool, sauna, hot tub, terrace and gym. The classic rooms have satellite TVs, en-suite bathrooms, and free wifi to keep you connected. 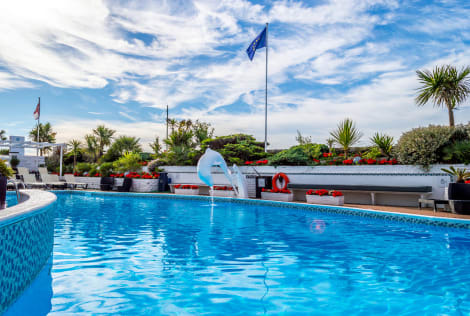 Situated on East Cliff, overlooking Bournemouth Bay, the 3-star Suncliff Hotel is an easy walk from beaches, award-winning gardens, and the town centre. 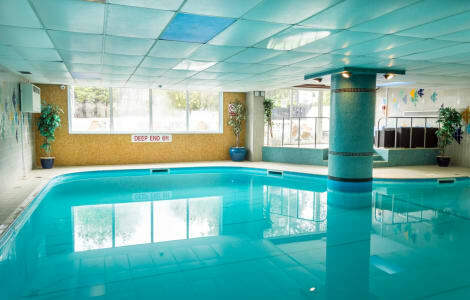 Its leisure complex has a heated indoor pool, mini gym, sauna, day spa, and squash court, as well as a restaurant, bar, lounge and traditional English pub with various events throughout the week. The Suncliff’s rooms all have a private bathroom, TV, hairdryer and free Wi-Fi. On-site parking is available on a first come first serve basis at £8.00 per vehicle per night. Parking permits will be issued at the hotel reception desk during check in. Reservation is not possible and fees are payable directly to the property on arrival. Wrap up your day with a drink at the bar/lounge. English breakfasts are available daily from 8 AM to 9 AM for a fee. Stay in one of 41 guestrooms featuring plasma televisions. Wireless Internet access (surcharge) keeps you connected, and digital programming is available for your entertainment. Bathrooms have shower/tub combinations and hair dryers. Conveniences include phones and coffee/tea makers, and housekeeping is provided daily. Sitting on the south-coast, 90 miles from London, Bournemouth was a favourite spa resort of the Victorians and, thanks to its sweeping coastline and a particularly warm micro-climate, it's just as pleasant a spot to visit today. Many cheap hotels in Bournemouth are right by the sea, meaning that you can take in the magnificence of the town's seven miles of sandy beach and dramatic cliff faces in comfort. And if you venture a little further out of town, you'll find yourself among the natural wonders of the Jurassic Coast, a 95-mile long stretch of beach that's full of fossils and peculiar rock formations, including the picture-postcard Durdle Door in nearby Lulworth. As you'd expect of a town with such a rich history of tourism, the staff at the hotels in Bournemouth are able to point you in the direction of the best local attractions. Oceanarium, the town's aquarium, has won plenty of awards for its charming, impressive and occasionally terrifying sealife, and the residents of the primate rescue centre at Monkeyworld are full of character. It may not be California, but the sparkling waters around the town have attracted their own thriving surf culture, and there are several surf schools in the area. Also the Boscombe Coastal Activity Park offers a range of activities that'll suit all ages and abilities, including bodyboarding, snorkelling and yoga on the beach. 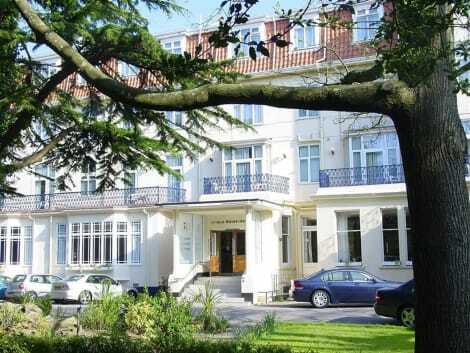 With more than 2000 acres of parks and gardens, the town has a particularly lush and tranquil feel, and with many cheap Bournemouth hotels sitting within leafy grounds, you can look forward to a peaceful stay. The Upper, Lower and Central Gardens are all Grade 2 listed Victorian parks, with plenty to see and do, while the cliff-side tropical garden at Alum Chine is a fun spot to get lost in. There's plenty to see in the attractive county of Dorset, including the cultural venues of Poole and world-famous sailing of Weymouth and Portland Harbour. And with excellent transport links throughout the region, your Bournemouth hotel is the ideal starting point for exploring the beautiful New Forest National Park. Perhaps somewhat misleadingly named, the forest actually dates back to the time of William the Conqueror, but its unspoilt woodland, charming tea rooms and native ponies, as well as attractions like the motoring museum at Bealieu, are bound to enchant.